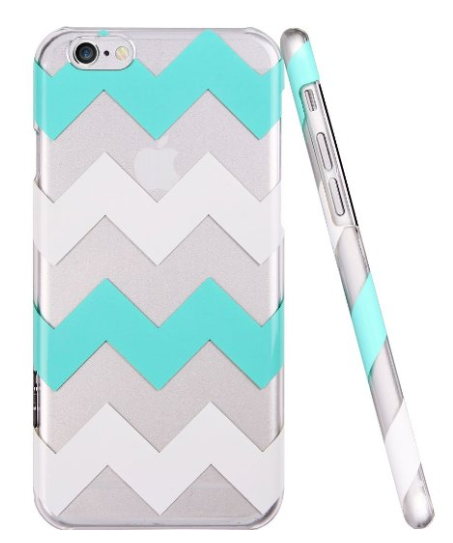 Green & White Chevron iPhone 6 Case $9.99 + FREE Prime Shipping (Reg. $26)! You are here: Home / Great Deals / Amazon Deals / Green & White Chevron iPhone 6 Case $9.99 + FREE Prime Shipping (Reg. $26)! I absolutely love this Green & White Chevron iPhone 6 Case which is priced at just $9.99 (Reg. $26) right now! This would make a cute stocking stuffer, too! Plus, FREE Shipping is available with Amazon Prime or FREE with orders of $35 or more (sign up for a FREE 1 month trial here)!